Beautiful 2/2 upstairs condo located in Southpointe building 5. 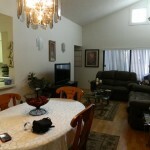 Condo is an end unit and is conveniently located next near one of the complex’s two pools. Condo is move in ready and comes with everything you need. 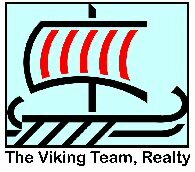 All appliances, furniture, linens, bedding, electronics, cookware, flatware, etc. is included in this condo. Condo features hardwood floors and tile throughout. Balcony is enclosed, so alternatively it can be used as an office or spare room. Community features two pools (one heated), jacuzzi. Condo also has access to all country club facilities which include: library, restaurant, bar, golf course, driving range, tennis courts, basketball court, bocce court, playground, fitness center, rv/boat storage, access to Lake Frederica, 24 hour manned security gates. If you have any questions or would like to see more photos please email chynnajustine@hotmail.com. Condo is priced at $75,000. 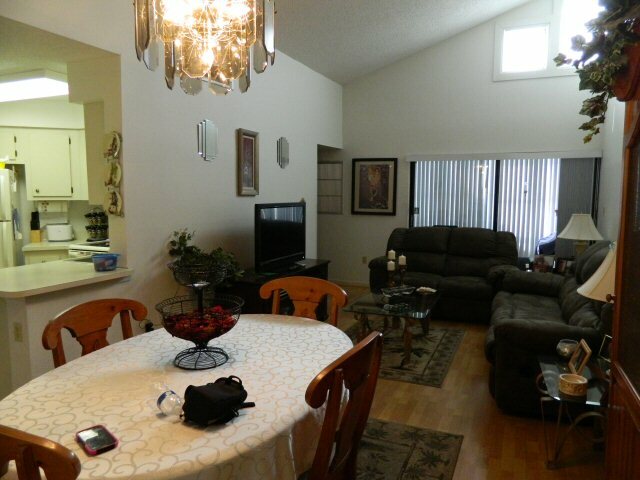 To make an appointment to see this condo, please contact Judy at 407 694-9394. If you would like to list here, please use the owners link at the bottom of this page.